Blogging While Working Full Time: Tips and Tricks | La Petite Noob | A Toronto-Based Fashion and Lifestyle Blog. 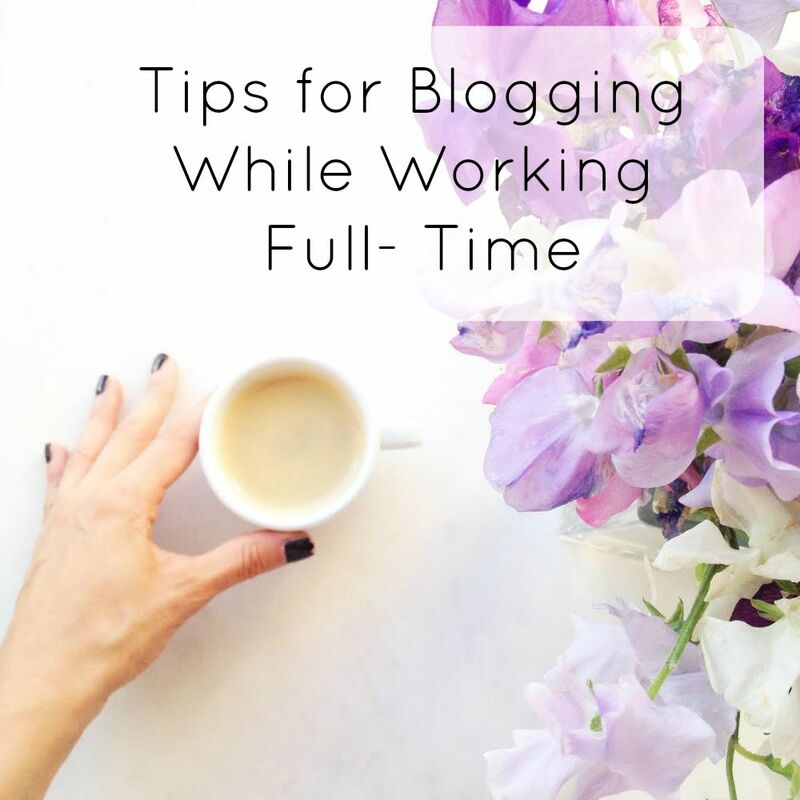 These are all such great tips for blogging while working full time. I never thought of keeping two separate planners to prevent myself from feeling overwhelmed. Thanks so much for sharing these tips! I'm starting a new full time job next week and this post was very much needed since I haven't been feeling as creative and motivated as usual! Thanks for the tips, I love your work! Thanks Gia, I'm so glad that this post came at a great time for you! Good luck starting your new job! It's so true Jessica, saying no can be so hard - especially when everything sounds like so much fun! I loved your tips! I think they're really good for people who have a 9-5 schedule. I work full-time, too, but I start at 7 in the morning and had to create quite a different schedule for myself. I'm lucky to leave work in the middle of the afternoon so I'm able to take photos on weekdays, but I never have time to do any blogging work in the morning! Oh wow, yes waking up 2 hours earlier than 7am would definitely not be do-able for me LOL! You're definitely lucky that you're able to use the daylight hours during the week for photos, I would love that! Great post Joelle! Ok some thoughts...I cannot even fathom waking up 2 hours before work, however I can truly see the benefit of that, and am glad you can do it. I am so not a morning person, I start work at 7:30 and cannot possibly wake up any earlier than 6 am at which point I hustle for work. That being said I am a night owl most days and end up staying up to all sorts of odd hours of the night to get my photo edits/posts done. Last night was a perfect example of staying up until 3 am and then waking up at 6 like a zombie! I also use 2 planners and find it helps me keep my personal and work life separate. I guess when I read your routine I see that you definitely are more organized with doing certain blog activities on certain days, where I am a little bit all over the place at times and this is maybe I tend to burn out so much. I definitely could learn a thing or two from you on planning these blogging activities better! It's not easy working FT and keeping up with the blogger thing, but I agree with you that it is worth the effort. Happy Friday! I definitely need to come back to some of these tips! I'm going through some major burnout at work right now, and blogging is my little bit of fun, but I can't seem to find the time for it lately. Must. Plan. Better!! Hey Kris, totally understandable with the amount of traveling that you've been doing lately! I always find going to the cottage on the weekends throws off my photo times, so I manage that by shooting blog photos right after work on a weekday - sometimes even changing at the office to go straight to photos! Hopefully that helps! I'm so glad that you enjoy these types of posts Katie - I love writting them! I'm totally in the same boat as you, I often wonder what devoting my energy to the blog full-time could bring. I think that you're doing fabulous job! Hi Joelle! I really enjoyed this post, and love hearing about a blogger's behind the scenes planning. It's so wonderful to read a blog I can relate to, and I always appreciate the work more when I know the blogger works a full time job (in addition to blogging)! I'm learning that a lot of bloggers take many photos on the weekend, which I never thought of. Thanks for a great post, really timely and well thought out! I'm so glad that you enjoyed this post Lisa! Yes, taking all of your photos in bulk on the weekends is a life saver!